We’ve been having a great winter so far this year in Benzie County. Lots of snow and cold for some great ice. 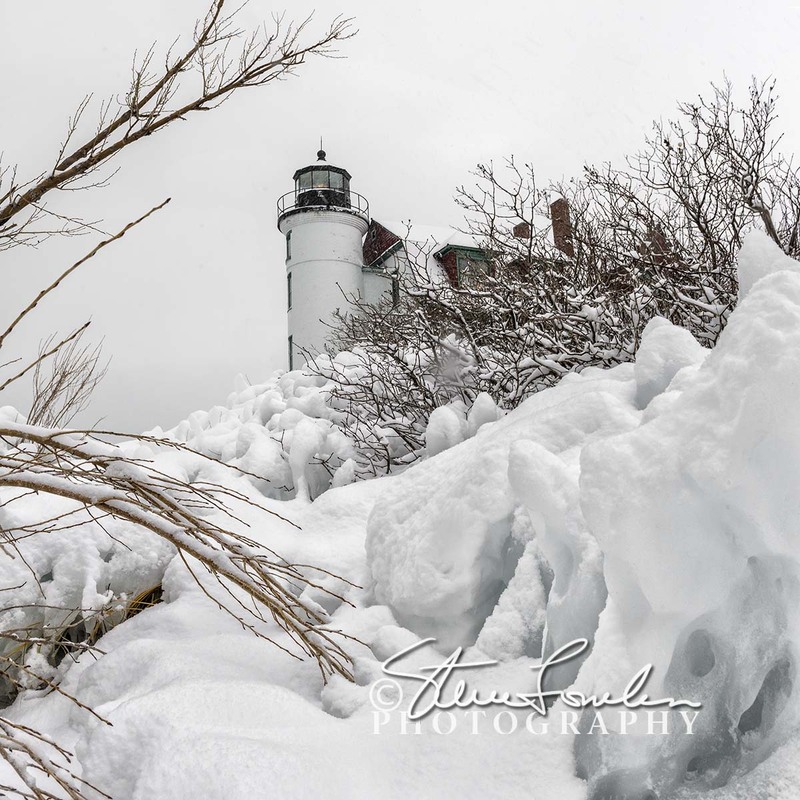 I went out to Point Betsie Lighthouse yesterday afternoon (January 14th) during a delightful snowfall that left us with about a foot of fresh snow overnight. I was shooting my Nikon D800 with the 24-70mm f2.8. This first shot was just as I got out of my car. 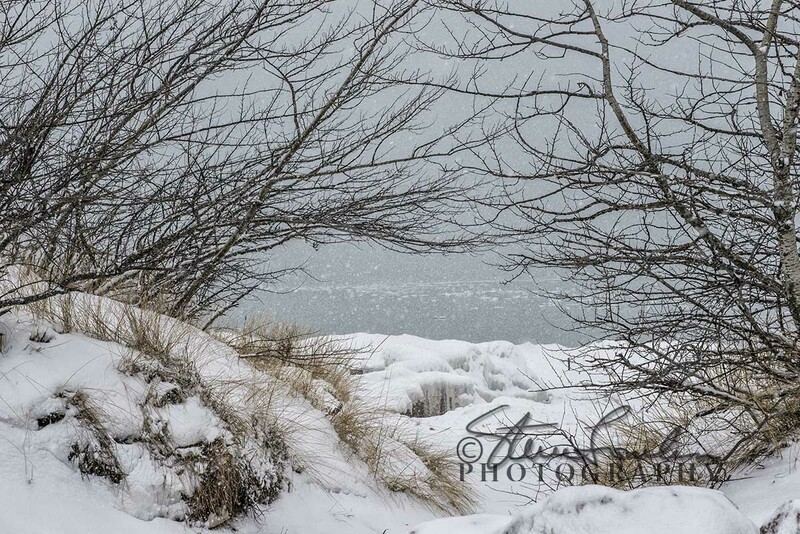 I was struck by the short path through the dune and trees to the beach framing the small chunks of ice floating on Lake Michigan. It’s WAY too risky to attempt a lens sway in snowy conditions so I too my old D700 with the 14-24mm lens. I was fairly close to the break wall and shot this pan setup tripod mounted. I didn’t have my nodal point chart with me so I made an educated guess for a pan setting and it worked out ok. I stitched in Photoshop CC, converted to black & white in Nik Silver Efex Pro software and painted back in the little bit of color in the roof of the lighthouse. This final shot is a handheld vertical 2 shot pano with the D800 and 24-70 lens. Processed and stitched in Photoshop CC and adjusted with Nik Viveza and cropped to a square ratio. I can be challenging shooting during an active snowfall and especially with wind. Keeping snowflakes and water drops off the lens is and uphill battle. You think you might have gotten a great shot only to see there were drops on her lens.